The Burgundy Mini Felt Top Hat makes for a surprisingly accessible and attractive accessory. Of course it looks beautiful with elaborate, Victorian-styled dresses, but they also compliment any elegant, regal, or otherwise noble attire. Everyone will hear the call of the highway when you approach wearing this Chain Band El Dorado Hat. You can imagine the smell of grease, the sound of the throttle, and the black leather jacket emblazoned with your personal mantra. Elegance and sophistication are the styles of the Victorian era, and so too do they mark the neo-Victorian era and its steam design! 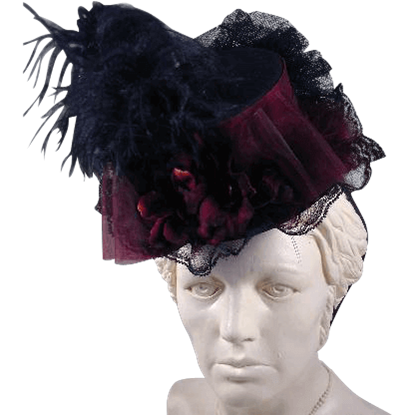 This Elegant Steampunk Women's Teardrop Hat has it in the name, and its look does not disappoint. Bring out the evil hidden underneath your skin with the help of this airbrushed, laser-engraved top hat! 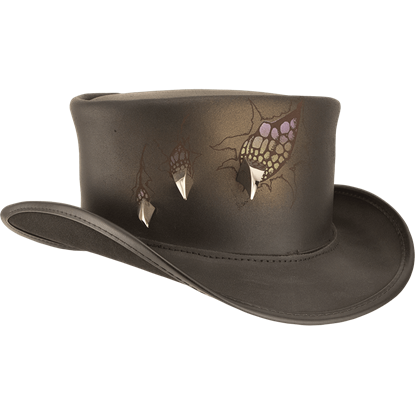 The Evil Within Top Hat features sharp, polished 3D claws tearing through the crown as a wicked ornamental detail. 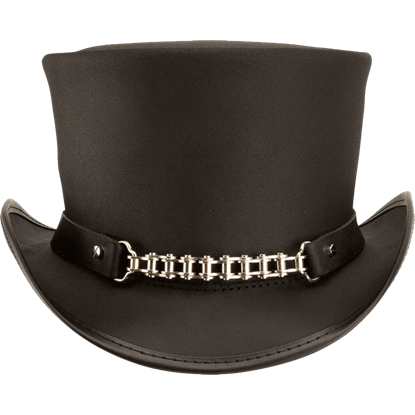 Dress as your own version of the infamous Pale Rider of the apocalypse with the aid of the Gothic Pale Rider Top Hat. 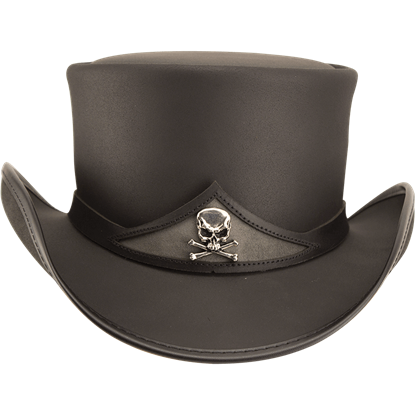 This sharp top hat features a polished skull and crossbones ornament at the front of its hat band. A good hat is not just for a gentleman to wear. 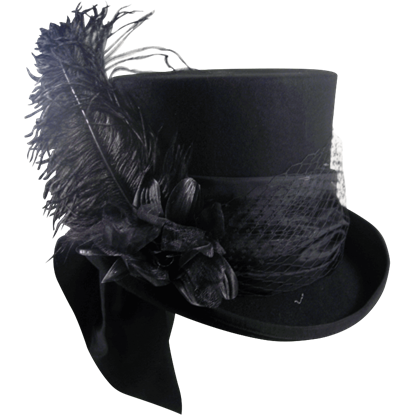 A noble and elegant lady can also enjoy the style that a hat can add to her look. 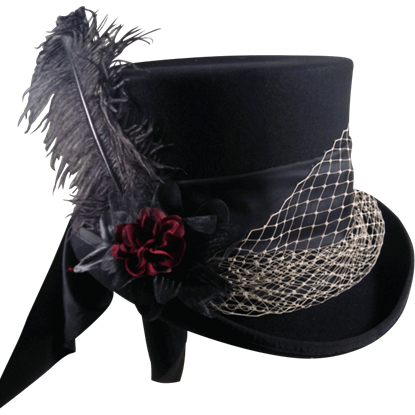 And if her style is Gothic Victorian, then this Gothic Rose Top Hat is just what she needs. 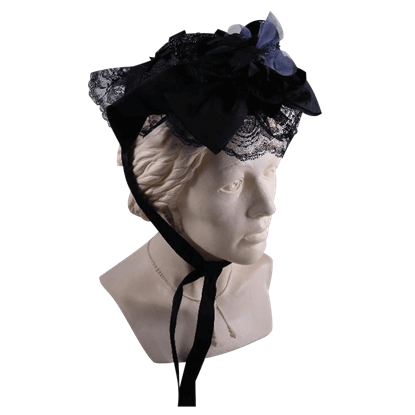 This Ladys Rose Victorian Top Hat is a classy element that serves well in a formal or a casual function, allowing any Victorian or Steampunk lady to adorn herself with a hat that perfectly suits her ladylike attire and appeal. The Mad Hatter was not always all joy and tea-parties. He was called mad for a reason, and it had absolutely nothing to do with his temper. The Mad Hatter Black Felt Top Hat is a good illustration of his darker, crazier side. No Wonderland-styled hats can compare with the Mad Hatters creations. They are a perfect blend of elements that only an insane man could dream up. Take, for instance, the Mad Hatter Felt Top Hat. Dozens of figures have famously worn a top hat, but none are perhaps quite so universally known as the infamous Mad Hatter. 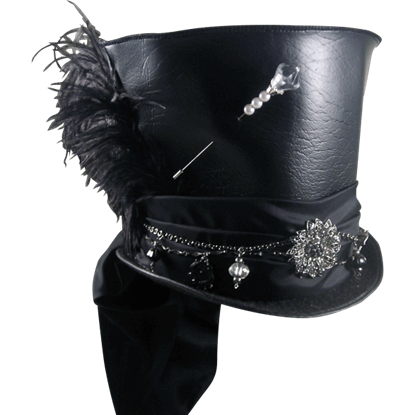 The Mad Hatter Pleather Top Hat is deviously delectable creation inspired by this off-kilter character. Whether you are attending a wedding or simply dressing to impress at cocktail hour, this charming, miniature hat makes a stylish accessory. 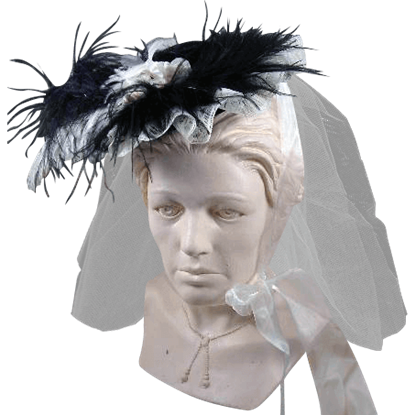 The Mini Felt Bowler Hat with Netting sits at a jaunty angle on the side of your head.